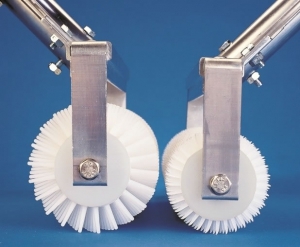 These spiked rollers are vital to ensure proper floor coating adhesion. They are used on freshly applied floor coatings to release trapped gas and assist in the floor leveling process. These rigid, solvent resistant, aluminum cored polypropylene spiked rollers are available in spike lengths of 7/16”, 9/16”, and 13/16”. A variety of spike con- figurations per spike ring are available. 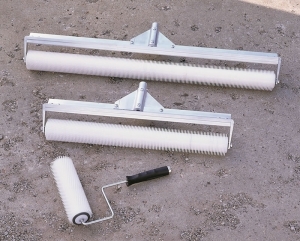 The spiked rollers are available in widths ranging from 9” to 48”, come with a heavy-duty aluminum frame with high grade stainless steel axles and our own unique gusset bracing. 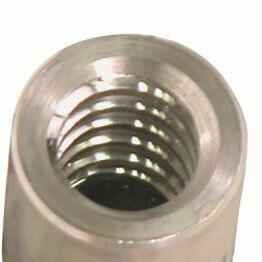 They are available with a threaded handle adapter or with a fixed powder-coated aluminum handle. 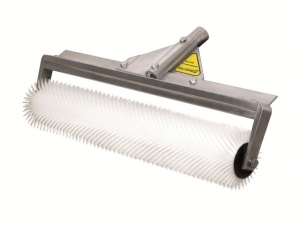 The 9” spiked rollers come on a radial roller frame.